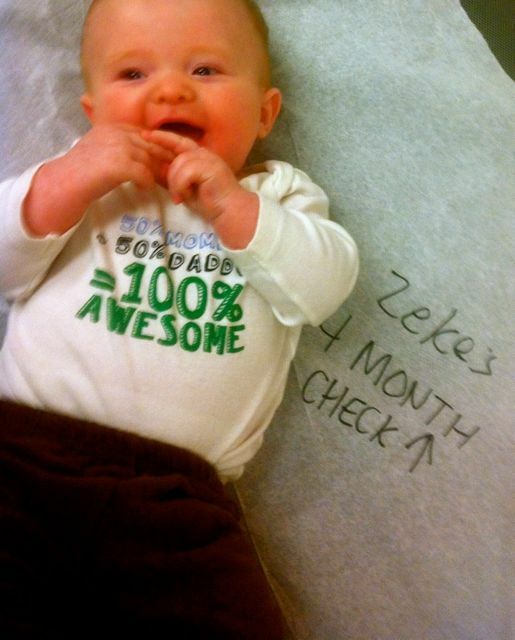 Our little Zeke turned 4 months this month, so off to the doctor we went for his 4 month baby well visit. It was so NOT fun. I cried. He cried. But at the end, we were happy to know we have a healthy little boy who is a bit on the chunky side. ← Previous Story Moms Have Meltdowns Too!